Roughly 500,000 to 600,000 people in the U.S. each year develop venous ulcers, effectively making them the most common type of skin ulcer, according to the Cleveland Clinic. While anyone can develop skin ulcers, you may be at a higher risk of a venous one if you have a history of leg swelling, varicose veins, obesity or frequent blood cots. 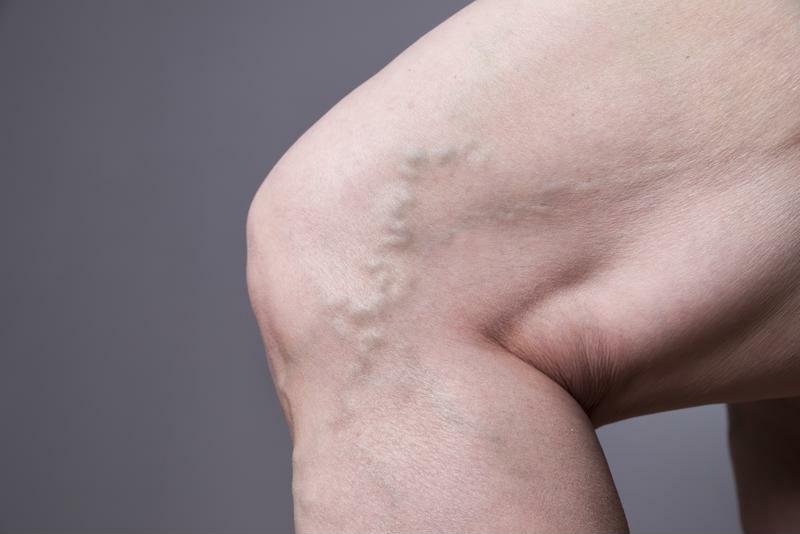 Patients with varicose veins are at a higher risk of developing a venous skin ulcer. Venous ulcers are the result of poor circulation in the veins. Instead of being sent back to the heart, blood pools in the veins and causes the skin tissue to break down. They typically form on the legs, especially below the knee and just above the ankle. A venous skin ulcer is generally red or brown in color and has an irregular shape. The affected area may feel itchy, hot, dry and tight. Swelling is common and can extend throughout the leg. If the ulcer becomes infected, you may also notice foul-smelling drainage from the wound, as well as additional swelling and discoloration. Wound Source noted that venous ulcers themselves are relatively painless; the discomfort comes primarily from infection and swelling. How do you treat a venous skin ulcer? Elevating the affected limb can relieve discomfort and swelling. From there, your doctor may decide to debride dead and damaged tissue from the wounded area. Compression therapy is a standard venous skin ulcer treatment, according to Verywell Health, namely because the pressure can restore proper blood flow and boost the body’s ability to heal the ulcer. Can you prevent a venous skin ulcer? At-risk patients can take precautions to reduce their likelihood of developing venous ulcers and minimize complications at the first sign of ulcer development. Wound Source suggested examining your feet and legs on a daily basis, looking for signs of discoloration or sore development. It’s also a good idea to avoid long periods of inactivity, exercise frequently, elevate your legs on a regular basis, refrain from smoking, eat a low-sodium diet and wear compression socks. Speak to your doctor about the prevention methods that make sense for you. In the event that you need wound care supplies for a venous skin ulcer, talk to your doctor about smartPAC by Advanced Tissue to get your prescribed products delivered straight to your front door.